Hour of the Wolf interviews John Joseph Adams (radio). The New Yorker interviews Nalo Hopkinson. Boomerang Blog interviews Margo Lanagan. Odyssey Workshop interviews Laura Anne Gilman. Rich Horton's 2009 Summaries: Aurealis, Heroic Fantasy Quarterly, Orson Scott Card's Intergalactic Medicine Show. Rachel Swirsky on For Everyone Who Recently Objected to Referring to Women Writers as Girls and “We know he’s busy, but why didn’t she clean the house?”, thoughts on challenges faced by female writers. Catherynne M. Valente on Winpunk. Nancy Fulda on Reluctant Readers. Jeff VanderMeer on Booklife on Support For Your Writing. Tansy Rayner Roberts on Writing While The House is Messy. Vandana Singh on Magnetic Musings. Brenda Clough on Ways to Trash Your Writing Career: Trademarks. Chris Dolley on Things Your Writer’s Group Never Told You. Mike Brotherton on Release the Internet Krakens! Juliette Wade on Alien Languages - how foreign would they really be? Andrew Wheeler on Quote of the Week: Book Reviewers and Behold! There Is a Straw-Man Argument, and It Is Good! Naomi Novik On Anachronisms and The uses of fairies and fire. Nicola Morgan on Multiple Submissions. Sean Wallace on The Definition of "Fantasy" and Fantasy Magazine. Cory Doctorow on Close Enough for Rock 'n' Roll. Shawn Speakman on Trust Your Dreams: Back Up Your Work. Theo on The ebook revolution. Pacific Northwest Booksellers Association 2010 Book Awards. SFWA, NWU, and ASJA on Google Books Settlement. Jay Lake Receives John W Dalmas Award. The Preditors & Editors Readers Poll. Restoration of Lost Scientology Materials Complete. Goblin Fruit Winter 2010 issue is out. Suvudu and The Magazine of Fantasy and Science Fiction join forces! 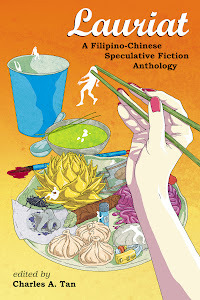 Check out Anna Tambour's review of this anthology. Aha! A simultaneous submission that wasn't caught and went on to publication! Oh-oh, not good! 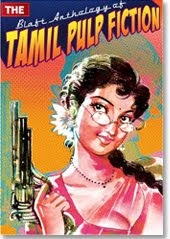 As for Tamil Pulp Fiction, I saw the TOC for this anthology months ago, and have wanted to read it ever since. I hope it reaches our shores soon, somehow. that's interesting indeed. let's see if either publications will move to do anything about it-- unless the question is more of, does it even matter for them?